Listen to past President of ARMA, Carol Choksy discuss why records management can be challenging to set up from the 10,000 foot level. Carol has worked in records management for more than 25 years. She has advised organizations in nearly every public industry sector as well as federal, state, and local government and NGOs on five continents. Her industry experience includes every phase of the records life cycle, particularly where technology has created problems. She has been a Certified Records Manager since 1996, and Project Management Professional since 2006. She has been CEO of her own company, IRAD Strategic Consulting, Inc. since 1997. Dr. Choksy is an adjunct professor at the School of Library and Information Science at Indiana University, Bloomington. She also teaches courses at the IUPUI campus for SLIS. She teaches Records Management, Strategic Intelligence, Systems Analysis, Management, and Social Science Research. She has served two terms on the Board of Directors of ARMA, International (association of records managers and administrators) and was a past President of ARMA. Dr. Choksy was educated at the University of Chicago (BA, MA, and PhD). In particularly, Carol brings a good dose of common sense to the field of records management and a wealth of knowledge. 1. Tell me how you got started in Records Management? 2. Why is records management so important or not so important? 3. Is this field easy or hard? 4. 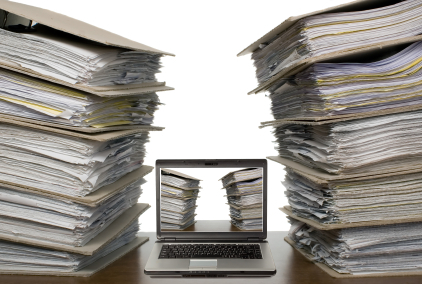 What pressures do electronic records place on records management programs? 5. What are the biggest mistakes you see companies making in the field? 6. Are there technologies which can make this easier or harder? 7. Everyone who studies electronic discovery pretty much agrees that better records management would reduce the cost of electronic discovery. Why doesn’t this get done? Is this like asking US Citizens to stop eating Super Sized fast food to live longer? 8. This question relates to ESIBytes and how we categorize our shows for retrieval, are taxonomies still the way to go when trying to make it easier for a listener to retrieve information about a show? 9. What are your best tips for trying to practice better records management programs? I think you used to talk about getting into the trenches and out of the C level offices to learn what is really happening. 10. Are there ways to incrementally improve records management for organizations which don’t require large commitments of time and money? 11. What are you seeing in the field today that is different from say 5 years ago? 12. Are you working on any interesting studies? 13. What have your recent studies revealed which might surprise the listeners? If you want to contact Carol Choksy, you can call her at 317-294-8329 or email her at cchoksy@indiana.edu.